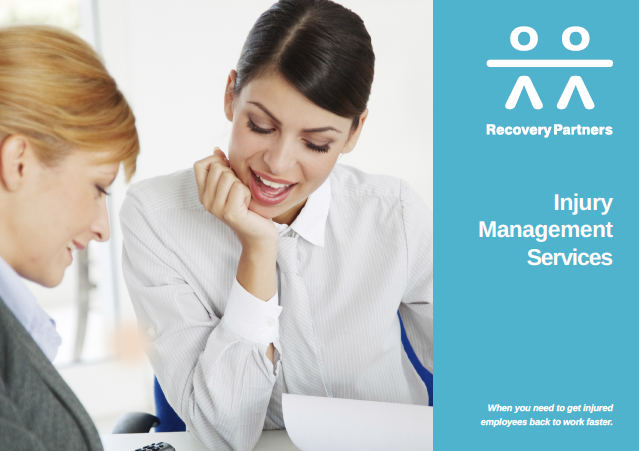 Since our inception, Recovery Partners have worked tirelessly to provide high quality occupational rehabilitation and injury management services to an extensive number of injured claimants, employers and insurers. We recognise the significant challenges that occur with injury management and provide our professional services to assist all stakeholders in the navigation back to one of the most critical functions in life – working. 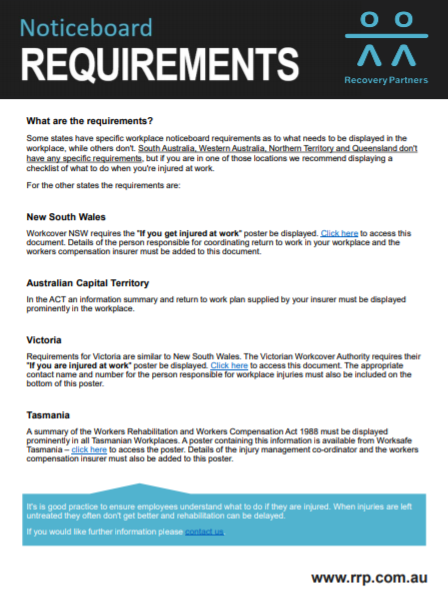 Simply, Recovery Partners are committed to the delivery of the Health Benefits of Work for Australians and strive to offer the opportunity of work to all. We offer our Injury Management services across all the relevant legislative and policy streams including workers compensation, life insurance, comcare, and CTP insurance. Additionally, we are able to offer our services in a direct manner to proactive employers who are eager to support all manners of injury / illness regardless of claim lodgement. Recovery Partners operate a holistic, client-centric model which ensures a service flexibility befitting of independent needs of the individual. This model is guided by the People, Environment, Occupation and Performance (PEOP) Framework and the World Health Organisation’s International Classification Functioning, Disability and Health. We recognise the unique challenges of both the person (intrinsic) and environment (extrinsic), and how they implicate an individual’s activity, participation, and performance. Understanding the individual in their entirety is critical to our successes in supporting their injury management, and a biopsychosocial awareness is able to provide an insight toward multiple areas of potential challenge.